We had an excellent time at Trinity Road Chapel with James White debating Abdullah al Andalusi on the subject of the Trinity. Please read James White's review here. 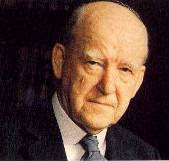 Some of the most significant sermons in 20th Century Evangelical Christendom were preached by Dr Martyn Lloyd-Jones during the nearly 30 year period when he was Minister of Westminster Chapel, London. Thankfully, in the Lords providence, the majority of those sermons were recorded on reel-to-reel tape and then carefully archived. Now, with the benefit of modern technology, the Martyn Lloyd-Jones Recordings Trust has been able to digitally restore and improve the original recordings of some 1,600 sermons and make them available in CD and MP3 format. The twelve albums which comprise the Legacy Collection are those major series of sermons for which Dr Lloyd-Jones rightly became famous and the reason why so many people flocked to Westminster Chapel. In contrast to the present day in which many preachers seem only able to offer the spiritual equivalent of a quick-fi x ready meal which inevitably leaves their listeners hungry and malnourished, the sermons of the Legacy Collection contain substantial food for the soul which is not only satisfying, but when applied to the heart, mind and will by the Holy Spirit, produces growth, vigour and authentic discipleship. This unique collection should feature in the library of all Christians who are serious about gaining a better understanding of Gods Word and its application to all of lifes situations. This is indeed a precious inheritance that has been preserved for the blessing of Believers in the 21st Century. 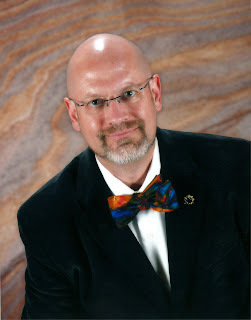 James White will give two free talks on The Reliability of the New Testament. Christianity faces renewed attacks about the purity and preservation of the Scriptures, James White will help us better understand how the Church included books in the canon of Scripture and how the manuscripts have been faithfully preserved and not massively changed, as often claimed. James will be preaching at Trinity Road Chapel, where other famous preachers have spoken--C. H. Spurgeon, C.T. Studd, Martyn Lloyd-Jones. Monday, 22 February at 7:30pm The Big Trinity Debate. Orthodox Christians believe in the Trinity, the teaching that there is one eternal being of God -indivisible, infinite. This one being of God is shared by three co-equal, co-eternal persons, the Father, the Son, and the Spirit. Muslims reject this view, arguing that it results in worshiping someone other than Allah by associating partners with him. 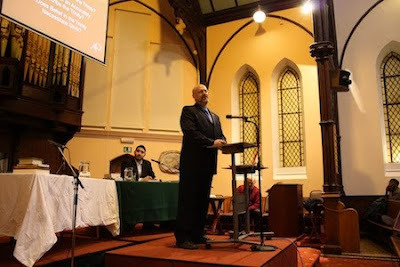 James White and Abdullah al Andalusi will conduct a formal, moderated debate on the doctrine of the Trinity at 7:30pm at Trinity Road Chapel in Wandsworth Common, London. Click here for directions and a map.